Russia should focus on improving its business climate and further modernizing its economy to comply with the standards of the Organization for Economic Cooperation and Development, as a number of problems still hamper the country's accession to the club, the OECD said in a survey issued Monday. Despite the government's progress in conducting reforms in many areas over the last decade — which has brought Russia's economy and legislation closer to those of the OECD member states — the country's poor business environment remains one of the major areas where Russia lags behind most developed economies, the survey said. "Across a range of macroeconomic and social indicators there has been clear improvement in recent years, and in general, Russia is within the range of OECD countries, not an outlier," the survey said. But "the business climate is one of the areas where the gap between Russia and most OECD economies is still very wide," it said. As the government's involvement in the economy remains rather high, Russia needs a predictable, investor-friendly business environment, respect for intellectual property rights and a reduction of the government's role to just setting the "rules of the game," said OECD secretary general Angel Gurria, who came to Moscow to present the survey. Such a business environment would stimulate innovations and ease the modernization process, Gurria told a round table at the Economic Development Ministry. As part of the measures to clarify the rules of doing business in Russia, the OECD signed an agreement with the merged MICEX-RTS bourse on Monday to develop a joint program to help strengthen corporate governance in the country. The OECD called for the government to improve the business environment by fighting corruption, which remains a serious burden on the country's business, and strengthen the rule of law, in light of a poor judiciary system that hampers investment. Russia remains "far more corrupt than any OECD country," the OECD said in the survey, citing the Transparency International corruption index. Russia has signed onto the Anti-Bribery Convention aimed at fighting bribery of public officials in international business transactions and is expected to join the convention this month — a crucial step toward accession to the OECD. According to the survey, one option to address the corruption issue is to cut the number of government officials and use the freed funds to increase the salaries of those remaining, which is likely to reduce their motivation to take bribes. The Kremlin plans to cut the number of state civil employees by 20 percent by 2013. According to the survey, the "poor business environment" is likely to hamper Russia's economic growth in the next several years, and the OECD expects the country's gross domestic product to increase 4 percent this year and 4.1 percent in both 2012 and 2013. The organization forecasts that the government will attain a budget surplus of 0.2 percent of GDP this year, but it expects a moderate budget deficit of 0.7 percent of GDP in the following two years. "Russia's economy overall is still relatively backward, exhibiting low productivity and per capita incomes, high inflation, extreme inequality, poor outcomes as regards health and the environment and low access to and use of information and communication technologies," the survey said. Meanwhile, the Economic Development Ministry is optimistic about the country's economic growth, which is expected to reach 4.2 percent this year, just a notch above the previous forecast of 4.1 percent, Deputy Economic Development Minister Andrei Klepach said Monday. But growth of 4.5 percent is "fairly likely," he told journalists after the round table. 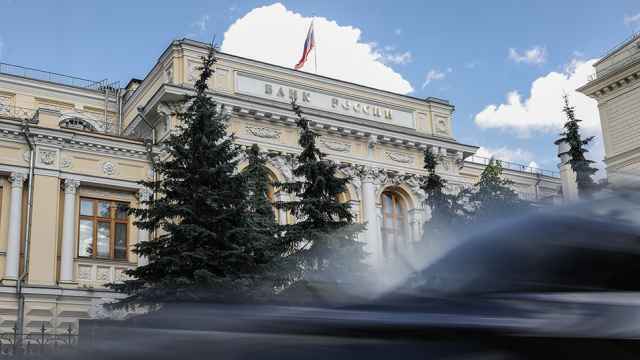 The ministry has also revised its inflation forecast for this year, with the inflation rate expected to be between 6.2 percent and 6.5 percent and "likely to be closer to the lower limit," Klepach said. 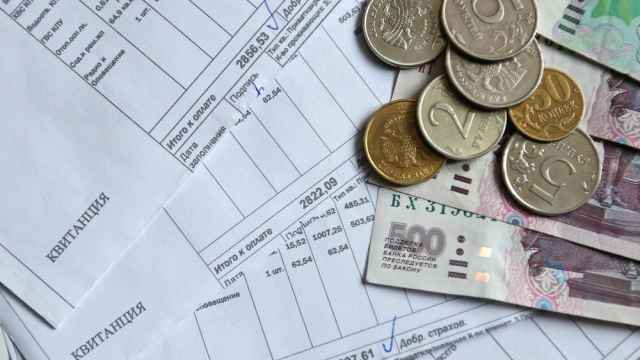 Economic Development Minister Elvira Nabiullina said last month that inflation could be slightly below the ministry's official forecast of 7 percent. Klepach also said Russia has good potential for development and its attractiveness for investors is growing amid the uncertainty in Europe and growing risks in China, and it's a task for the country's new government to realize this potential. He said, however, that it's too early to judge how the outcome of the State Duma elections could affect investor confidence, but "as time goes by, the markets are likely to react positively because the course will be continued and succession will be preserved." Gurria said the upcoming presidential elections and subsequent rotation in the government structure are unlikely to affect negotiations on Russia's accession to the OECD. "We have changes of government and rotation all the time. I have 34 members in my organization … so for us this is normal," he said in an interview after the round table. Among other issues Russia should address to catch up with developed countries are further strengthening macroeconomic policy and increasing energy efficiency, while moving forward in modernizing the economy, the OECD said. The OECD praised the government's efforts to diversify the economy away from the oil and gas industry, saying it's bringing the country closer to the membership. But the government should focus on reducing the high non-oil deficit — the budget funding gap excluding oil and gas revenues — which remains at 11 percent of GDP, it said. Nabiullina, who participated in the presentation, said the OECD's recommendations "are of a significant interest" for Russia. She agreed that improving the business environment is crucial, saying the situation has improved slightly this year. "But we're not satisfied. We'll move forward … in improving the business climate," she said. Nabiullina said she hoped that Russia's accession to the World Trade Organization would create a base for joining the OECD. Russia started negotiations on entering the OECD in 2007 and joining the WTO was a necessary condition of accession. The Economic Development Ministry said last month that Russia could complete talks on accession next year, but Gurria said one of the OECD committees is slated to interview Russia in March 2013. He said the government is committed to completing negotiations on Russia's accession to the OECD — which is often called a club of rich countries — as soon as possible, but it's hard to predict when the process will end, as there's still much work ahead. "It's not foreseen. … We see Russia's willingness to do it. We go as fast as the conditions allow," he said.